WASHINGTON, DC - The USDA Economic Research Service has released the updated 10-year agricultural projections through 2027. 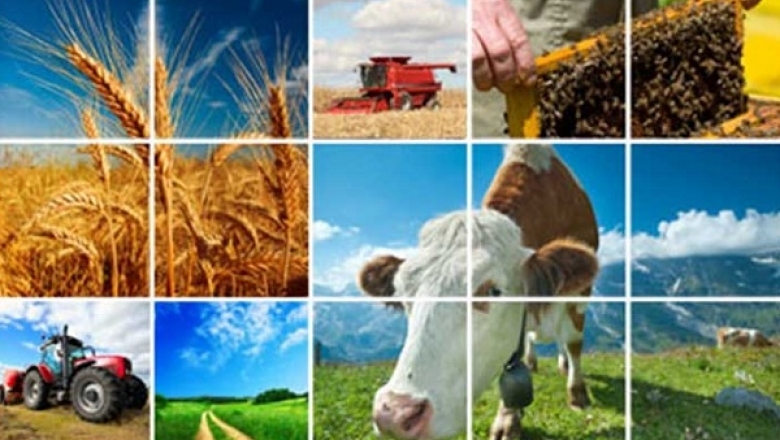 The report addresses a wide range of agricultural commodities, agricultural trade, and aggregate indicators. According to the report, over the next several years, strong global demand will provide incentives to retain relatively stable planted acreage while inducing some shifts in plantings. And for the first time, U.S. soybean plantings are expected to exceed corn plantings. In the livestock sector, strong demand will provide economic incentives for continued expansion. Over the next 10 years, the agricultural sector is expected to continue to adjust to lower prices for most farm commodities and relatively low energy prices. But per capita use of red meat and poultry is projected to rise from roughly 218 pounds per person in 2017 to 222 pounds by 2027, according to the USDA report. It marks a rebound from the low of 199 pounds per person observed in 2014, according to USDA. USDA lowered its per capita consumption number for 2018 while revising higher its 2017 estimate. Current forecast is for US beef consumption in 2018 to increase by 4 percent compared to January when consumption was forecast to increase by 4.5 percent. The decline in per capita beef consumption was a result of a modest downward revision in beef production (-35 million lb.) and an increase in beef exports (+40 million lb. ), according to the CME Group. USDA still expects beef production to increase by 5.9 percent in 2018, with production in Q2 forecast to be up 12 percent. Cattle/Beef: A large portion of the U.S. cattle inventory is in an area experiencing drought, which is likely affecting the timing of placements of feeder cattle in feedlots. As a result of higher late-2017 placements and relatively slower growth in the 2017 calf crop, the forecast for 2018 commercial beef production was lowered from last month to 27.7 billion pounds. This reflects anticipation of fewer cattle to be placed in feedlots in the first half of the year and marketed in the second half, although it is largely offset by the first-half marketing of cattle placed in late-2017. Based on continued strength in overseas demand, the 2018 beef export forecast was revised upward, following double-digit growth in 2017. Demand for corn is projected to continue to grow over the next decade, both domestically and internationally, in part because of increased meat production. The report had corn production on the decline for the first few years but expected it to rebound. Corn based ethanol production is projected to rise slowly over the next couple of years, then decline to 2016 levels by the end of the decade. Falling demand for fuel ethanol and a growing demand for corn for other uses means that by the end of the next decade, corn used for ethanol production declines from a high of over 38 percent of total use to below 35 percent, according to the report. In soybeans, the USDA report observes that increasing global demand and rising domestic use for soybeans is expected to cause prices to rise and generate higher producer returns, producing incentives to increase plantings. For the first time, soybean plantings are expected to rise above corn, hovering around 91 to 92 million acres. USDA increased its corn export projection by 125 million bushels (+6.5 percent) compared to its January estimate. Ending stocks were lowered by a similar amount and were down 5 per cent compared to what was forecast in January. Global corn production was also revised lower, based on Argentine corn production declining by 7 percent. The loss of Argentine supply in the global export market is expected to come out of already large US stocks. Global corn ending stocks are currently forecast to be 203 million MT compared to near 230 million MT last year and 215 million MT the year before. Weather conditions in North America and Europe this coming spring/summer will be critical for feed and ultimately livestock markets. As of January 1, 2018, the U.S. herd totaled 94.4 million animals, 0.7 percent above 2017's count. As part of the information included in the annual Cattle report released in January 2018 by USDA's National Agricultural Statistics Service (NASS), James Robb, at the Livestock Marketing Information Center (LMIC), says it is a statistically-based survey of producers and the most detailed in the cattle industry. According to Robb, the 2017 U.S. calf crop at 35.8 million head was up 2 percent or 751,000 head from 2016's. That was a revision lower by 500,000 calves from the NASS mid-year estimate. But the 2017 calf crop was the largest since 2009. According to the report, there are more "other heifers" (animals heading for feedlots rather than breeding herds) than a year ago (up 3.6 percent or 323,000 head). The national beef cowherd was 1.6 percent above a year ago, and growth will continue to moderate in 2018 because the number of heifers held for breeding purposes declined (dropped 3.7 percent year-over-year as of January 1, 2018), according to Robb. In addition, beginning this calendar year, the number of cattle grazing small grains pastures in Kansas, Oklahoma, and Texas was well below a year earlier (down 17 percent or 300,000 head). "In recent months, the number of cattle placed into U.S. feedlots has been bolstered by the large 2017 calf crop, poor small grains (e.g., wheat) grazing conditions in the Southern Plains and rather good demand for animals to put on-feed. The spike up in placements is a double-edge sword. In the short term, feeder cattle supplies outside feedlots as of January 1, 2018, were calculated to be below a year earlier (down 2.3 percent or 607,000 head), which tends to support prices. However, the placement pattern since last fall has put more slaughter cattle in the marketing window of late-May through mid-August than a year ago. Note that many of those animals are heifers. The large marketings will likely pressure slaughter-ready steer and heifer prices, which are forecast to be below 2017's. According to Robb, those prices suggest dampened demand for feeder cattle late this spring on into the summer months. Latest available trade data totals for 2017 show that exported U.S. red meat, poultry, egg, and dairy products went mostly to Asia and NAFTA countries. Additional export shares were accounted for by Central/South America and the Caribbean (CSA&C) and the EU, with the balance attributed to the aggregate "Rest of World" (ROW). For the U.S. beef sector, exported volumes went to Asia (66 percent), Mexico (15 percent), Canada (11 percent), and CSA&C (5 percent), with 2 percent each to the EU and ROW. For pork exports, Asia accounted for 43 percent, Mexico 32 percent, Canada 9 percent, CSA&C for 11 percent, and ROW for 4 percent. The largest destination for U.S-exported lamb and mutton was CSA&C (37 percent), followed closely by Mexico (34 percent) and then by Canada (10 percent), Asia (8 percent), ROW (7 percent), and the EU (4 percent). The largest share of broiler exports—33 percent—went to ROW, 79 percent of them comprising exports to Africa and Middle Eastern countries. CSA&C accounted for 25 percent of broiler exports, Mexico for 20 percent, Asia for 18 percent, and Canada for 5 percent. The majority of turkey exports, 62 percent, went to Mexico. CSA&C countries took 17 percent, Asia accounted for 11 percent, Canada took 2 percent, and 8 percent went to ROW. The largest destination for U.S. egg exports was Asia (33 percent), followed by Mexico (23 percent), Canada (19 percent), CSA&C (12 percent), ROW (7 percent) and the EU with 6 percent. Fifty percent of U.S. dairy exports went to Asia and 25 percent to Mexico. The ROW category accounted for 12 percent, CSA&C for 8 percent, Canada for 4 percent, and the E.U for 1 percent.